Clay B. I enjoy working for a company that takes pride in their work and gives homeowners above and beyond quality workmanship. 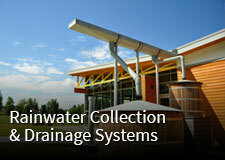 Our company goes to great lengths to achieve detail, quality and uncompromised structural integrity of homes. Our project leadership is extremely knowledgeable about all aspects of construction with years of remodeling experience in the field. Quality is always our trademark. Quality beyond belief, cleanliness of work place, and the service quality of every team member are a few of the reasons homeowners value Joseph’s Remodeling Solutions. This is a very solid company with great growth potential. Dean A. I am proud to be a member of a company that provides superior quality in workmanship and attention to detail with an open door policy to new ideas. Hiring our Joseph’s Remodeling Solutions team will provide a much higher standard of workmanship along with a greater degree of professionalism than is usually expected in the construction industry. Every member of our company works closely with our clients. This results in a far superior product, along with creative ideas desired by clients to achieve their home remodeling lifestyle goals and to solve each home’s whole house problems. I enjoy home owners telling us how much they like all the custom features and remodeling solutions we build in to their homes. Eric R. We do the work on a remodeling project. 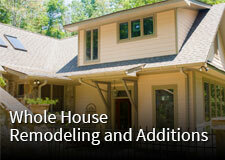 Our teams are multi-skilled allowing us to complete every aspect of a home remodel. All of our electrical is in accordance with the electrical code we install bigger wire spec grade switches and receptacles. For plumbing we use 40 pressure line for all drains . We use all brass connections in our water lines and only use quality fixtures. The lumber in our carpentry projects are kept dry until it is used on the home. We install all the proper headers and beams that are needed to support the structure . We use engineers to help evaluate the structural needs of a home being remodeled. We care about the details that you can’t see at the start of a job all the way to the fine details you can see at the end of a job. We also recycle as much of the material that we can on a job site from reusing building material to sending what is left over to a recycling center. We take steps to control the dust that enters our customers homes while we are working on them, and always keep customers informed to what is going on in there project. I appreciate working for an employer who cares about his employees and that everything will be done the best way it can be done. We can take pride in our work. Our teams are personable, clean, and polite. Safety is a priority for everyone from the remodeling teams, to home owners and visitors. We strive for 100% satisfaction and look forward to working with homeowners on their next project. If a homeowner can wish it, we can do it! Hilda V. I have been fortunate to work for several top-notch organizations and supervisors. I have also worked for one or two that were not, so I know the difference. Joseph and Alyssa truly care about their employees and their clients and that is reflected in employee morale and client loyalty. As an employee it is reassuring to know the owners’ priorities are solid and well thought-through. Their honesty, integrity and commitment to quality of life and quality products, make me proud to be a part of their team. They also know how to have fun! John B. I am proud to be working with remodeling teams that believe no job is too big to not be done right every time. Quality, safety, and homeowner satisfaction are company top priorities. I also appreciate the skill mentoring opportunities offered by our team leaders and the team building programs offered by Joseph’s Remodeling Solutions. 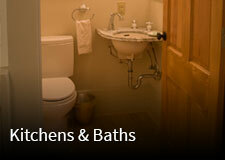 Joseph’s Remodeling Solutions promotes from within the company whenever possible. Most recently I applied for and received the opportunity to help increase job efficiencies by overseeing tool and supplies organization and inventory. I am looking forward to furthering my knowledge of the trade to grow as a person and as a company. Mark G. The quality of JRS workmanship means long lasting repair or modifications. 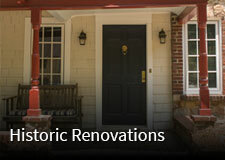 This is a great team of handpicked, experienced craftsmen who are experienced in diversified fields of home remodeling. Old home custom renovations, custom exterior drainage systems, plumbing methods that will last, and the fine details of electrical work are important to us. Our homeowners and their needs always come first to us. Clean home air quality and products that are uniquely installed to meet and exceed normal manufacturers specifications are the rule. Joseph’s Remodeling Solutions is a company like no other. They care for employees well being and safety; special attention is always given to homeowner needs and satisfaction; proper remodeling construction is unconditional; and, there is always trustworthy leadership on the job. It is a great pleasure to work for people who care so much for others. Tyler H. You will never find a better remodeling team! Everyone pays close attention to details and the quality of the work. I love my job and the people I work with. This is a great start to my career..